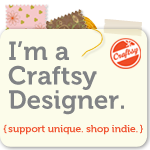 Found this while catching up on some RSS feed reading today: http://creativebits.org/cool_business_card_designs. It’s pictures of some really creative and very cool business cards. I’m not sure how practical some of them are, but most of them are very clever. My favourites? The dental ones, the cat tail, ‘blind date’ theme, the x-ray, the acupuncturist, and the divorce lawyers and post-marriage counselling ones. thank you! I needed this information!